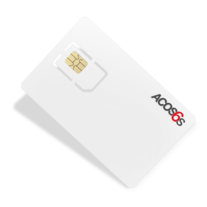 The ACOS6 Secure Access Module (SAM) is designed as a general cryptogram computation module or as a security authentication module for ACOS contact client cards – ACOS3, ACOS6, ACOS7 and ACOS10, and common contactless client cards – DESFire, DESFire EV1, Ultralight-C and Mifare Plus. 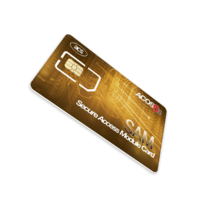 The ACOS6-SAM card securely stores cryptographic keys and uses these keys to compute cryptograms for other applications or smart cards. 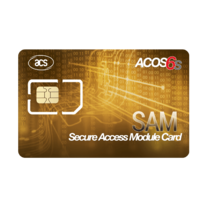 Using this, terminals need not know the master key(s) of an application, considering that the keys never leave the ACOS6-SAM.